After tenuous studies, researchers have come closer to solve the mystery surrounding the so-called Flores man, which they believe is not human after all. According to a new analysis of the bone fragments from the skull of the Homo floresiensis and respective layers, researchers have excluded them from any linkage with our species, Homo sapiens, which results in a completely new and unknown species on Earth. The species known as Homo floresiensis, aka Hobbit, is an ancient ‘human’ species with less than one meter in height whose remains were found on the Indonesian Island Flores in 2003, and around which scientists from different countries proposed several theories linking them with the Homo erectus and Homo Sapiens from Asia, has given a completely different turn in recent investigations as scientists are about to exclude them from any linkage with our species. Scientists suggest that the diminutive humans, which died out over 15,000 years ago were a completely separate species. The anthropological debate surrounding the discovery of Homo floresiensis and their origin has just got a lot more fiery. Among scientists, a fierce discussion is being led whether or not ‘hobbits’ are an unknown branch of early humans or specimens of modern man deformed by an unknown disease. Two potential theories have been debated by scientists. One is that the so-called Flores man is an actual descendant from the Homo Erectus and eventually became smaller over hundreds of generation, pointing towards insular dwarfing. An adult Homo floresiensis, aka Hobbit stood one meter in height while weighing around 25 kilograms. Interestingly, researchers point that Flores Island was also home to a miniature race of now extinct elephant-like creature called Stegodon. However, the opposing group of scientists suggests that ‘Hobbits’ were, in fact, a modern human species whose tiny size and miniature brain were caused by a genetic disease. One of the suspected causes was dwarf cretinism which could have been caused by a lack of iodine. Scientists however also suspect on microcephaly. However, a new approach proposed by French researchers, published in the Journal of Human Evolution, re-examined the layers of the ‘hobbit’ skull using high-tech tools. 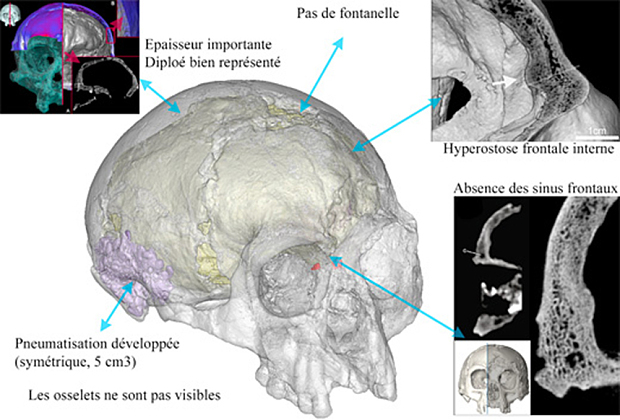 French researchers looked at the remains of Liang Bua 1, whose cranium is the best preserved among nine specimens. Further analysis has led researchers to obtain high-resolution images recently generated in Japan, in order to compute maps of bone thickness variation. The results, he said, were unambiguous: “There were no characteristics of our species”—that is, Homo sapiens. Researchers also pointed out that their study has led them to the conclusion that there was no evidence corresponding to major genetic diseases other researchers had previously pointed out. As things stand now, the mystery surrounding the ‘Hobbits’ remains partially solved. 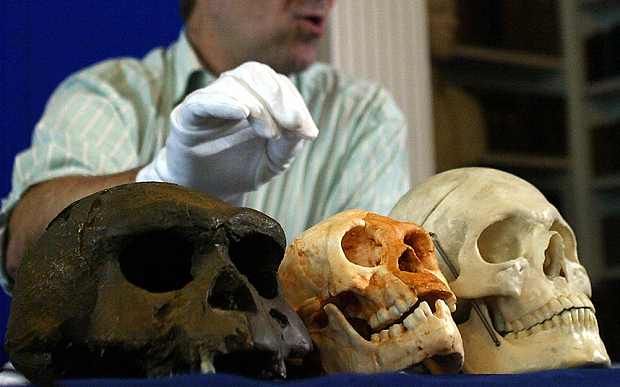 Even though scientists could not completely exclude that the ‘hobbit’ was, in fact, a smaller version of Homo Erectus, they cannot say with complete certainty that H. floresiensis was not a species on its own right. WAS ZECHARIA SITICHIN RIGHT ABOUT THE ANUNNAKI & AN EXTRA PLANET IN OUR SOLAR SYSTEM?